Click here to get a free trial. RS2 2019 is here with a whole slew of new features including advanced material models for more realistic modeling of slope conditions, integration with Slide2 for more accurate comparison of slope analysis results, a better user experience for our customers, and more. The addition of advanced material models in RS2 2019 means users now have access to a comprehensive array of failure criteria they can apply in RS2’s fully automated finite elements analysis. The result is more accurate simulation of the response of real materials to loading conditions, which in turn means more reliable analysis results. Shear normal functions and power curves used to model the strength of materials in dam; comparison of RS2 and Slide2 results. Rocscience prides itself on building tools that engineers can rely on every day. But we also commit ourselves to building tools that are intuitive and easy to use. This commitment to a better user experience is evident in the significant additions and improvements we’ve made to the UI in RS2 2019 to promote ease of modeling. A Visibility Tree pane has been added to RS2’s modeling interface. This pane facilitates the visualization of model components by presenting model entities, such as loads, groundwater boundary conditions, liners, and more, in a tree format. This tree lets users toggle the visibility of an item on and off as well as perform other operations, including zooming in on and deleting an item. The new Visibility Tree in RS2 helps users quickly edit material properties and toggle items on/off. 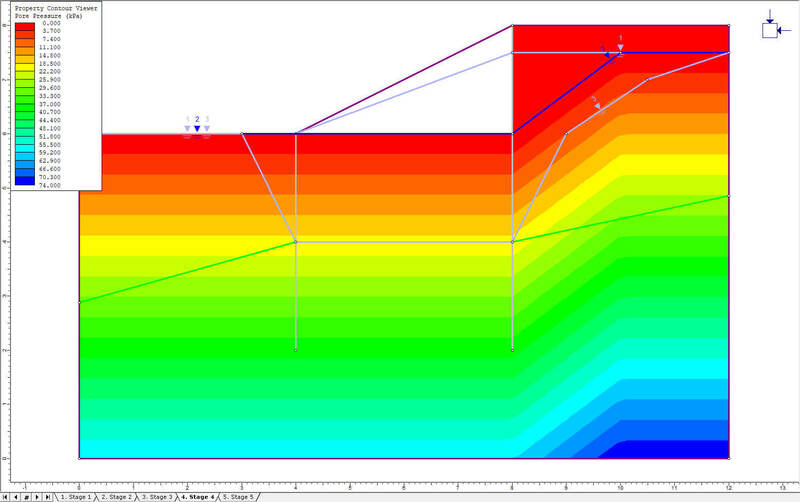 RS2 2019 features superior groundwater analysis tools for finite element steady state or transient seepage analyses. 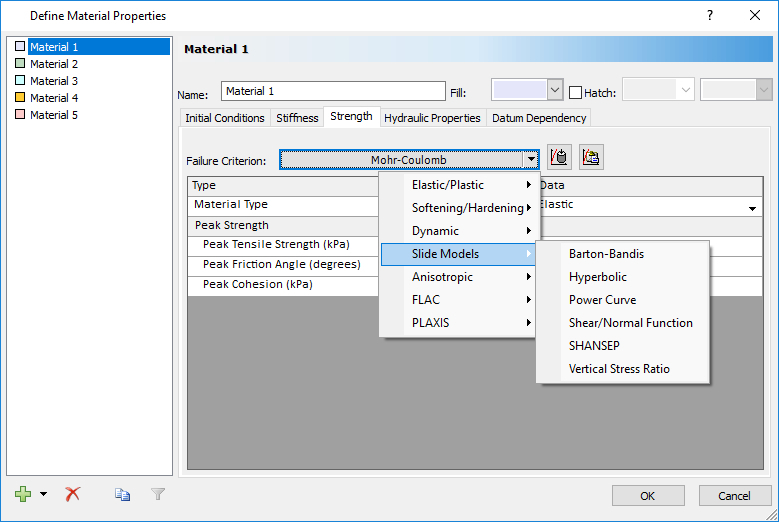 For ease of use, hydraulic properties can be found in the Material Properties dialog. Initial transient pore pressure has been added, and static transient pore pressure is now defined by individual material. In addition, wick drains can now be added to groundwater models. New improved loading capabilities allow users to add multiple loads to one location on a model. In addition, improvements to the Add Load interface allow users to add loads with a simple click-and-drag. Calculation of the strength reduction factor has been dramatically improved by saving the model in the last known converged stage and restarting the analysis from that stage. This improvement has resulted in an approximately 50% increase in the speed of SSR analysis. A new Uncoupled Consolidation analysis type has been added to improve the stability and speed of consolidation analyses. Try it out for free with a trial!